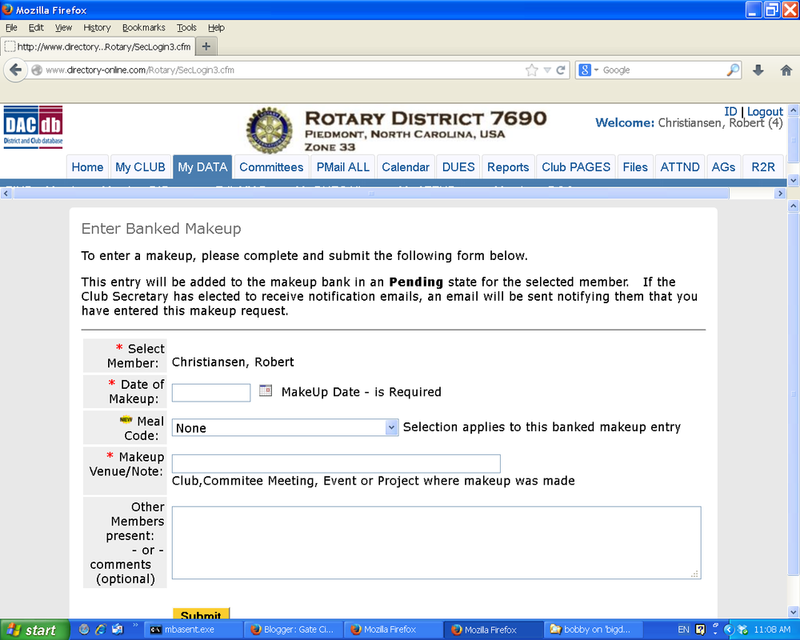 You will see the screen below to enter your User Name, Password, and Club Number. Your login info is your email address . Your password is your member number unless you have changed it. You can go in and change that to your preference. 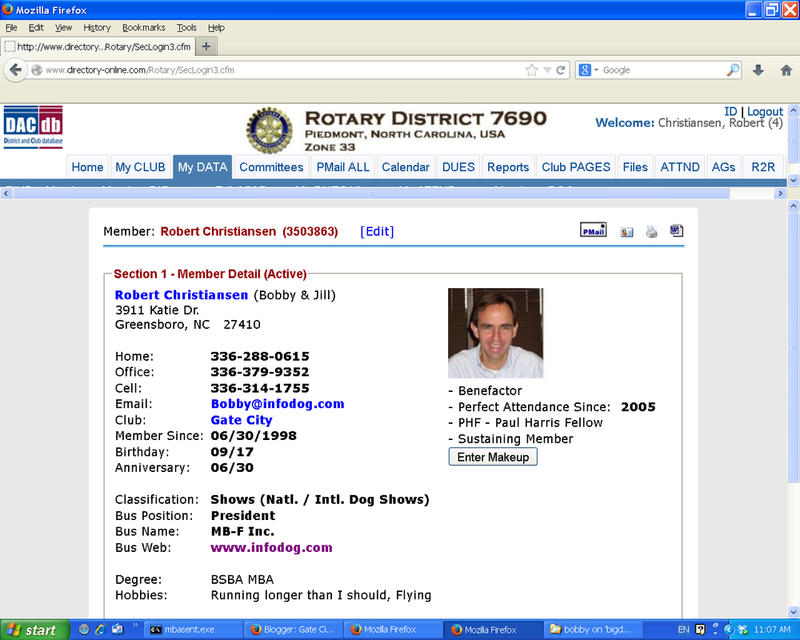 Your member number is on the label of your Rotarian magazine. The club number is 27995. If you need help finding your member number, let the current Club Secretary or President know & they can look it up for you - their email address are in the Contact Us section of this website. After entering your password you will see this screen below. Click the “My Data” Tab. You will then see this screen. Click the Enter Makeup tab under your photo. Enter the date you are making up. Under * Makeup Venue/Note: type - Watched club video & click Submit.